Just like the rest of the sturdy Whittle range, the Whittle 3 Seater Leather Sofa resembles the classic style of the Victorian era. However, dressing it in one of our wide range of leathers, will give it an added touch of elegance. The versatile design of this couch makes it suitable for your beautiful lounge but can also add that tasteful touch to your office or study. From the rounded arms to the beautifully crafted wooden legs and studded finishes, your new leather couch will be the pride and joy of any room you put it in. Like all our other lounges, the Whittle 3 Seater Leather Sofa is custom made right here in Australia. 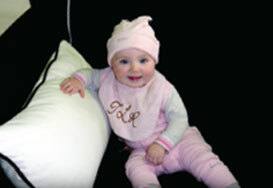 Its comfortable seating can be made either from our range of Dunlop foams or from duck feather filling. You also have a choice of foam or feathers for the back cushions. The frames, foams, feathers and webbing are all made from quality, Australian materials and all carry a 10 year warranty. You also have a choice between webbing or steel springs for your leather lounge. The Whittle has proven to be a favorite with our distinguished customers from Elderslie, Smeaton Grange, Raby and the surrounding areas, as it provides luxury and comfort at a price you can afford.